Rajasthan has left no stone unturned to impart quality education in all the departments to its students. It has also given importance to departments like Biotechnology,Agriculture and Veterinary. Rajasthan is very rich in Bio resources. The State provide tremendous bio diversity, rarely to be found in any other State. 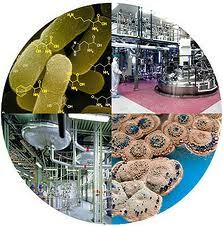 Biotechnology as a career is on high demand this days due to the rapidly emerging market of biotechnology products. Huge crowd of students can be seen in the state choosing biotechnology as a career. The government is also taking neccessary measures to meet the emerging demand by establishing many Public as well as private colleges in different cities of the state, providing various courses in biotechnology. Another Field of attraction for students in Rajasthan is Agriculture. Agriculture is the basic resourse for the development of any nation.The agricultural sector of the state accounts for 22.5 per cent. Beside being the largest state of India, Rajasthan has very limited fertile cultivating land. So only proper education about agriculture is the only way to utilize the limited cultivated land and help the state develope.The Government of Rajasthan along with other organisations have taken initiatives by stting up many Government as well as private institute to offerr various courses in agriculture. Veterinary education is a growing field in Rajasthan , many Government and private colleges are in different cities, serving the state for the development in this field.